Stargazing (Orchestral Version) by Kygo & Justin Jesso & Bergen Philharmonic Orchestra on VEVO. 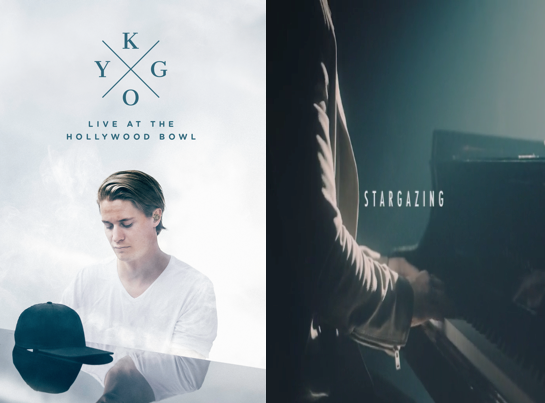 The “Live at The Hollywood Bowl” concert film captures KYGO during his stunning performance at the revered venue on October 14th and 15th of 2016. The film features artists Conrad Sewell, G-Eazy, James Hersey, Kodaline, Labrinth, Parson James, Seal, Sergio Flores, and Will Heard. “Live at The Hollywood Bowl” will be available December 12th on Digital and On Demand everywhere. In joint news, Kygo announces an orchestral visual version to the fan favorite record, “Stargazing.” The orchestral visual showcases Justin Jesso and the Bergen Philharmonic’s blissful take on the sonic single.